The best person to train your dog is you. Your dog learns from every interaction he has with you, his owner. We instruct and coach you to train your dog by controlling the rewards and consequences your dog receives every day to effectively motivate your dog. In Home Dog Training from People You Can Trust! The best person to train your dog is you. Your dog learns from every interaction he has with you, his owner. We instruct and coach you to train your dog by controlling the rewards and consequences your dog receives every day to effectively motivate your dog. New puppy? We can get your puppy started on the right paw. By using positive reinforcement training, establishing boundaries, and creating good routines, we can help you mold your dog’s behavior. You have the power to turn bad behaviors into good behaviors. We embrace the concept of “No Pain, No Force, No Fear”. Just give us a call and we will arrange a free phone consultation and behavior analysis at a time that is convenient for you. Our in-home dog training program is our most popular service, but we have many programs to suit your needs. Call us at (954) 587-2711 now! We want to share dog training tips, expert blogs, and dog friendly events. Sign up for our newsletter for the latest in force free dog training! Dawn is one of the most talented dog trainers around. She has a rare ability to connect with her clients and their dogs. Dawn excels in every aspect of her business and I am very confident that my customers will be pleased with the results they get from her services. 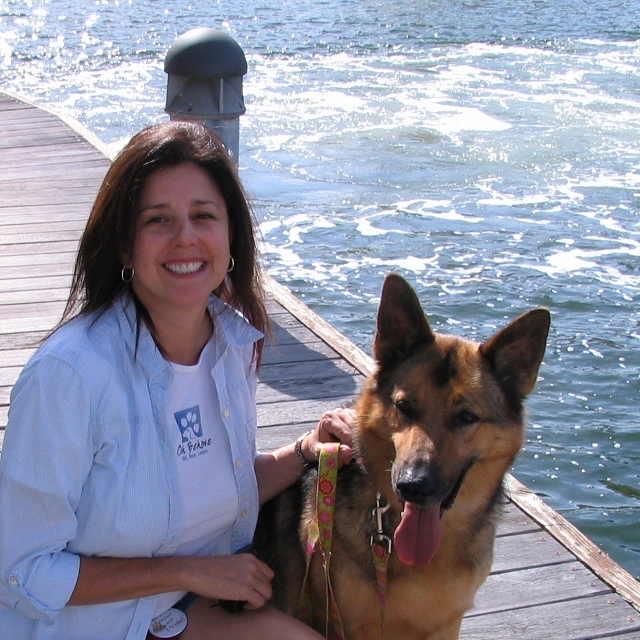 Dawn Hanna is an extraordinary dog trainer. After only half a dozen weekly classes recently, our rambuctious four-month-old puppy morphed into a well-behaved adolescent. The behaviour of the other dogs in the group — even the toughest cases — also improved dramatically in just a few weeks. Dawn clearly understands dogs. Her classes are not only loaded with important information but, in addition, lots of fun. I have already recommended her to a number of friends. Dawn helped me prepare for the arrival of a rescued dog. I have two cats and her suggestions were spot on. She later met my dog and we went to her training sessions at a local park. Her suggestions made the transition from a two-cat home to a two-cat and one dog home easy! Everyone gets along great and I learned so much from her about training my dog. I am very pleased! I would highly recommend her ! She knows behavior management!